The time has come to move into the digital era. We're introducing our brand new digital leaderboard so that you guys can get really motivated to kick that winner off of the top spot. 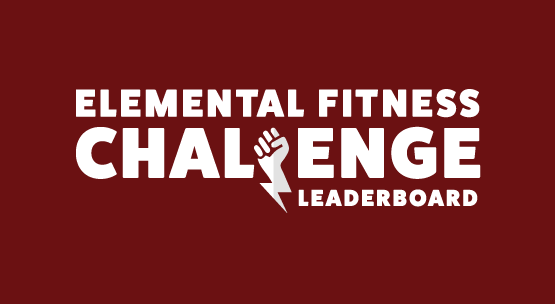 You can now access past and present leaderboards along with past challenges and rules, see the challenger's positions for the current year and share your position on Facebook! Every month, members and clients of the EKA and Elemental Fitness will put themselves forward for a challenge that will push their body to its limits. These challenges will test speed, strength, endurance and potentially two or all three at once. After the year of challenges are complete (all 12) whoever gets the most overall points earns a prize. You accumulate points per position you finish in for the month - 16pts for 1st place, 15pts for 2nd, 1pt for 16th and so on. Points awarded for all those that appear on the leaderboard by the end of the month – 1st place gets 16 points all the way down to 16th getting 1 point. The leader board challenges are created for friendly competition and not compulsory. Please no arguments and certainly no cheating! Check it out! 'Take me to your Leader...board' here! So what are you waiting for? Get in touch to find out more details on how to join in the ‘friendly' competition!